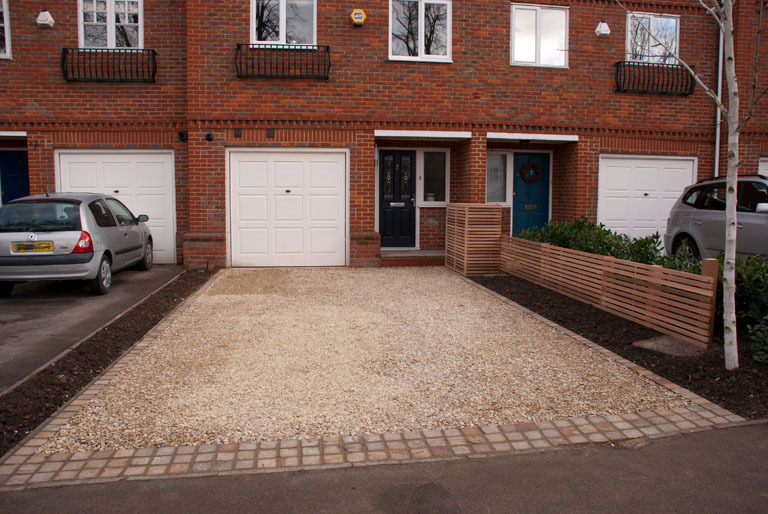 It’s been a couple months since the hard landscaping elements have been finished for my project in Sutton but with spring now upon us, I have been thinking about the planting phase of the project which is likely to happen in early April. My clients have a very contemporary style, they like clean lines and simple design and because they don’t have the time or inclination to spend hours maintaining the garden, we have gone for mostly evergreen plants that will give interest all year round. 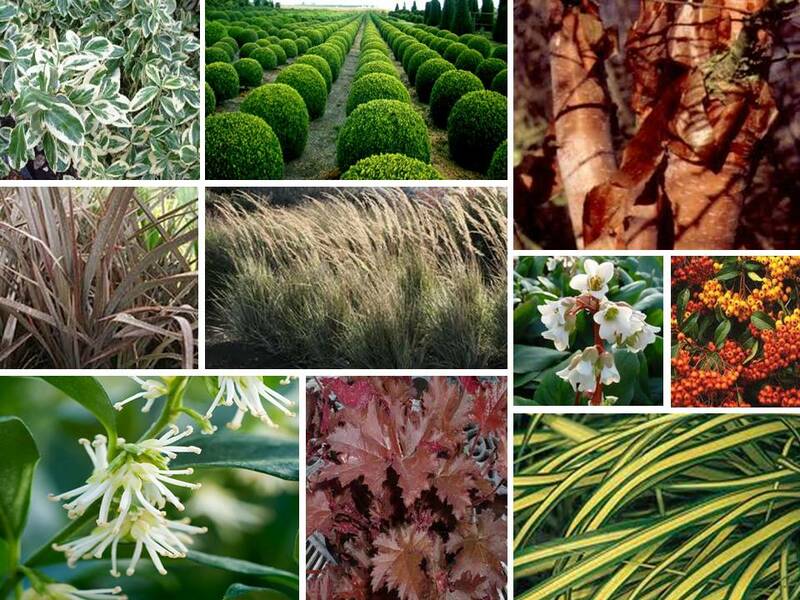 Rather than bringing colour to the garden with flowers, we have gone for contrasting leaf textures and colours. The box balls will give defined structure and harmony throughout the garden and will help to lead the eye down to 3 tall planters at the end of the garden, which will also be planted with box balls. 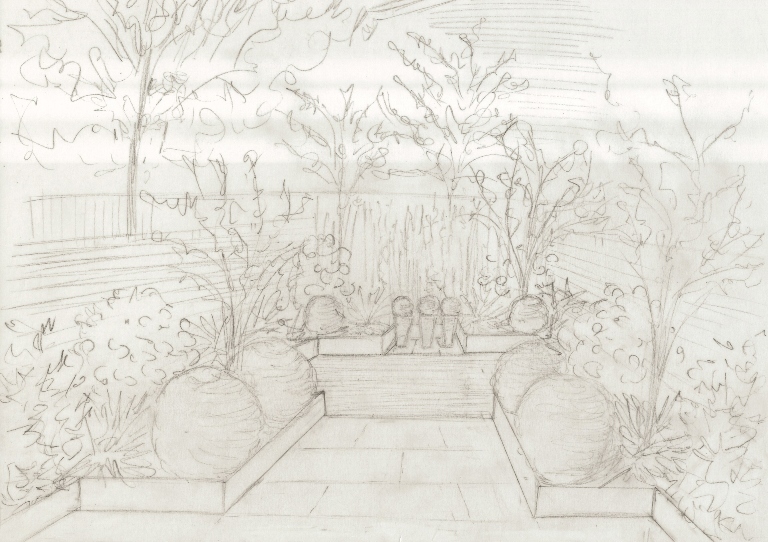 This is the sketch I put together at the concept design stage – the raised beds were taken out, but the essence of the garden remains the same and the planters will give the same look and feel to the space. The black fence at the end of the garden will eventually be hidden with green foliage, but once the garden is planted up it won’t feel as prominent anyway. It always amazes me how even when the plants are really small they have the ability to lift the garden to the next level. The hard landscaped areas are harsh right now, but a bit of green foliage will change the whole look and feel in no time. 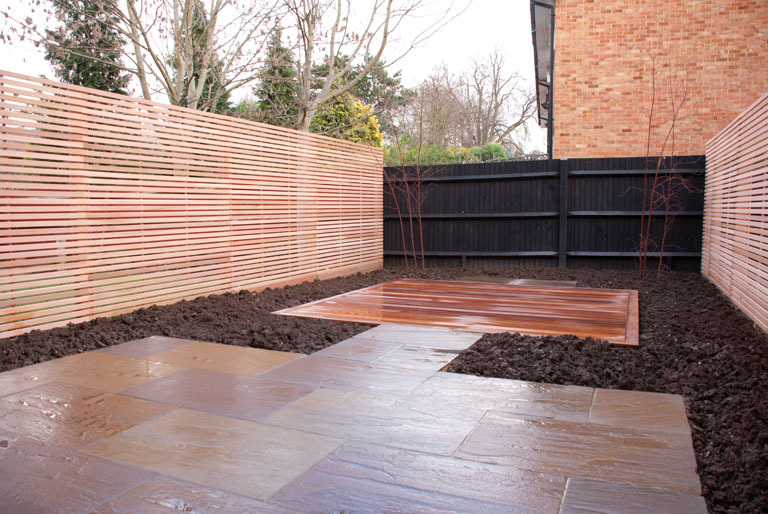 …but it will look fabulous with the gravel and cedar fencing, and of course with the white bark of the silver birch tree at the front. I can’t wait to get planting!